Does anyone have recommendation on auto transport company? Buying a soltice from North Carolina and I live in Austin Texas. No experience. I'd highly recommend you fly out and drive it back. Take the time to enjoy your new car and get to know it. But since you're asking, that's probably not an option, so I'll recommend Reliable or Pilot. Both are expensive, but are the only companies I would ever use to transport my own car. There are certainly other options, but nearly all of your budget friendly online options are just brokers. I.e., You send someone some money and a pick-up/destination, and whenever somebody is nearby with an open trailer spot and headed your way they grab the car and go. It will not be the company that you talk to and pay. Somebody might grab it right away, or it might be a month wait. They might drive it right to you, they might get a call for a bigger job and have to drive up to Indianapolis first. It might stay on one truck the whole time, or maybe they offload and sub-contract your delivery to a friend that works in the area. Long story short - expect a serious headache and lots of mis-information if you're going with the lowest bidder. If you're buying from a dealer, perhaps you can ask them for any leads? Sting Ya and TVRBill like this. Make sure it is transported on the upper level of the car hauler, because oil / grease / fuel dripping from a car above can stain your ragtop forever. Don't forget a proper insurance (check what value the car is insured for) and take lots of photos before and after the transport. A&M Elite Transport, LLC Simpsonville SC. I have used an open car hauler as it was cheaper but next time i would pay the difference & get an enclosed car hauler. Just my opinion. I bought a new spark a few years ago & it was damaged from been on a open car hauler the dealership paid the bill. RedOne07 said it right take lots of photos. Last edited by easyryderca; 03-26-2019 at 09:31 AM. 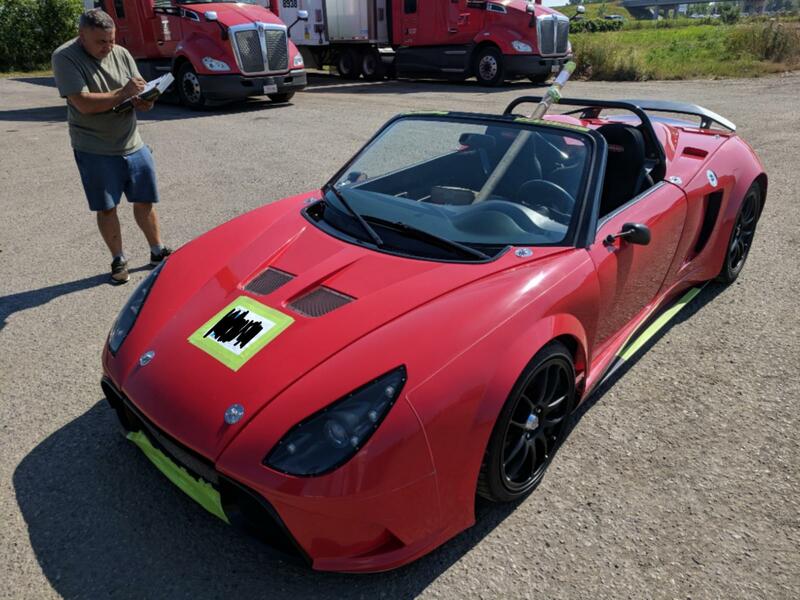 When I bought my Solstice in Florida I tried 2 different haulers who did nothing but screw me around by inflating the price after quoting much lower. I finally said screw it and flew to Florida, the dealer picked me up at the airport and I had a fun drive to Niagara Falls and learning about my new car. Took me a day and a half and I saved money in the long run. I hope you have a better experience with a hauler than I did. 4501 Safari and phil1734 like this. There are a couple of previous threads discussing this subject that you might research. When I started looking for a hauler to move my car from Colorado to the east coast I found a lot of different options. As I continued to do my research I found out a few things. 1) the most critical factor is the type of insurance that the carrier has. Some are not very good and some are outstanding. But be sure to find out how you get paid if there is an issue. Also, how they establish the condition of the car before it ships and when it arrives. Proving that damage happened can be very important and some save money by having a process that makes it very difficult to establish that damage occurred. 2) find out how many "legs" the car will experience. 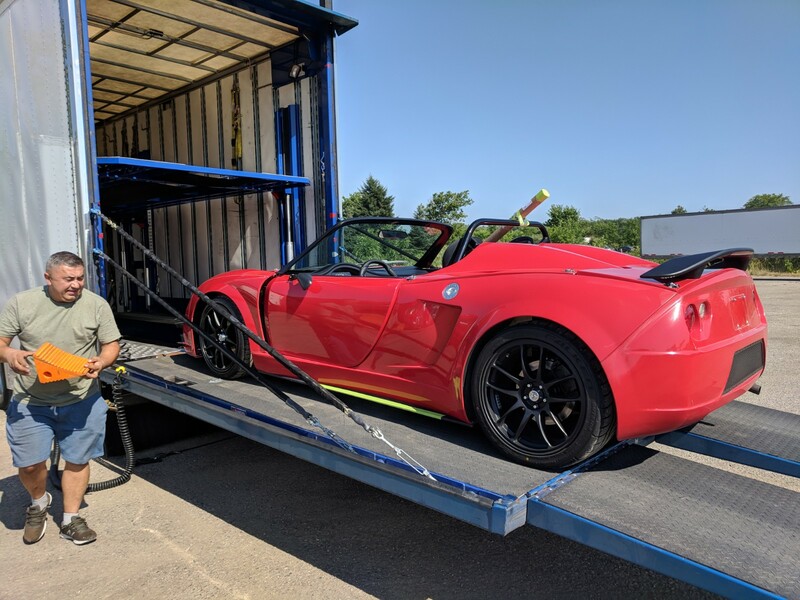 Some (many) haulers are "regional" which means that your car gets picked up by a truck, moved a day, then is unloaded at a transfer point, where it risks damage and may sit for a few hours or even a few days while the next regional truck shows up and picks up your car. Each leg involves loading and unloading which is where damage can occur. They are driving your car and may or may not know how your car needs to be driven. 3) there are covered trucks and open trucks. There is generally a large cost difference but the lowest risks, highest cost and generally the best care and handling will come with a single through carrier where the car is loaded at the point of origin and not unloaded till it reaches the delivery point. And closed trucks generally have the more motivated and higher level of professionalism in their operators. For your distance, get several different bids from different suppliers covering both covered and open transport. Then compare that cost with the cost for you to move it yourself. Then you can make an informed decision. I looked up who I used to send my pre-solstice car from Lansing, MI to San Fransisco - Safe Auto Transport out of Roseville CA. Total cost was around $2k. Very good service as well as the others I mentioned above. You'll notice in the pictures the driver (who was the only other person to touch the car and drove direct without any transfers) doing an as found delivery inspection and taking his own photos - both good signs you found a decent company. Enclosed vs. open is really just a personal thing. You get a little more protection from the elements if you're worried about rain, but the inside of an enclosed trailer is the same thing as an open transport except it's even harder to get in and out and around the cars since you can't jump out the side. That actually makes it easier to damage at times since you're always brushing up against, climbing over or holding onto whatever is available, which could be another car. Last edited by phil1734; 03-26-2019 at 10:08 AM. Thanks very much for all the great info. It really helps. I've done the fly and ride back with bikes and and some special cars. Had memorable experiences traveling back roads and through areas you would not see otherwise. I think it's called America, or used to be. I no longer fly for pleasure so the bikes and cars have been my choice to not put up with hassle. There've been a few vehicles worth it though. The memories and the conversations make it worth the time. Local cops know the good places to eat too and are surprised you would ask. You are only here for so long. Have a little fun along the way. easyryderca, Cmccomb1 and syjos like this. Agree 100% with 4501 Safari. Transporting is risky and troublesome for all the above mentioned reasons. Fly to the car and enjoy the road trip. I bought my GXP in Indiana, flew there and had a blast driving the car home to Washington State. I've done that with several purchased cars. I had a transporter haul a car once. They attached the tie down hooks to the suspension A arms and bent them. I used to envy Peter Eagan in Road & Track magazine when he wrote about his road trips all over the USA to bring home recently purchased vehicles and decided to do the same. The biggest issue I think you have is the condition of the car as far as driving it back unless you know someone who can do a detailed inspection beforehand . There is nothing worse than picking up your dream car and ending up having a problem on the way home ask me how I know . Some transporters my friends and I have used TotalCare trans . Auto Transport these guys are out of North Carolina 704 860 4297 Balch Logistics 877 859 4401 there out of Texas . Good Luck ! The biggest issue I think you have is the condition of the car as far as driving it back unless you know someone who can do a detailed inspection beforehand . There is nothing worse than picking up your dream car and ending up having a problem on the way home ask me how I know . I only purchase low mileage one owner vehicles from private sellers. CarFax and talking to the seller will reveal the type of care the vehicle received. If the most recent service on the vehicle is over 6 months, I schedule an appointment with a dealer for a full service and a 101 point inspection prior to departure. On some vehicles, the owner took the car in for the service appointment, that I scheduled and paid for, before my arrival. I have not experienced any breakdowns while bringing a vehicle home. I am actually getting my coupe moved right now. A family friend is driving it from DC to Buffalo for me. He is retired and lives near Tucson. He does this fun on the side. Flies in and drives it to you and flies home. Gets to see the flyover parts of the country and drives a lot of unique cars. Just asks that he be able to cover his expenses. I think I lucked out meeting him, saved me a bit of change.